A lineup of exciting events—among them the tradition of the Ginchakai open-air tea ceremony and the Diners Club Ginza Restaurant Week for gourmet fans—make the annual Autumn Ginza festival a must-do, especially for families. 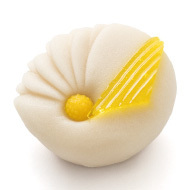 Ginchakai that has become a familiar autumn tradition in Ginza is now in it 15th year. 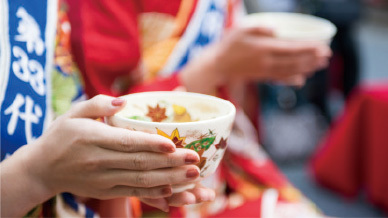 This special event where all five schools of chado and a Sencha-do school that rarely share a venue will come together for open-air tea ceremony in Ginza. Take this opportunity to enjoy the world of tea ceremony that is a part of traditional Japanese culture. 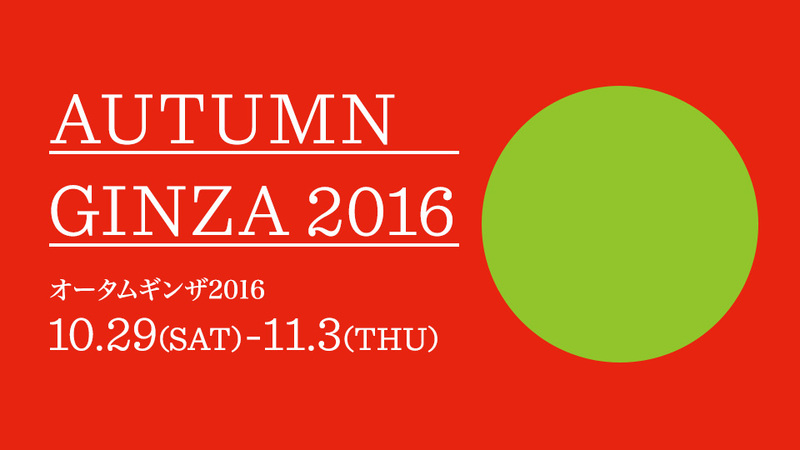 Maximize your enjoyment of Autumn Ginza 2016! 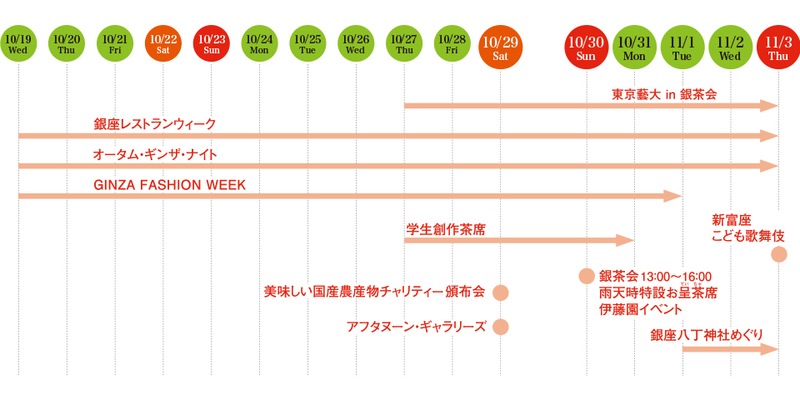 A wide variety of other events will also be held during Autumn Ginza 2015. 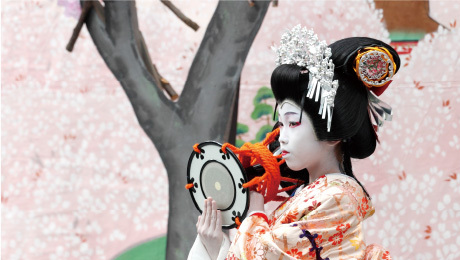 Children’s kabuki, gallery exhibitions, Japanese agricultural produce charity distribution, and much more! That restaurant you’ve always wanted to try awaits you with a specialty dining course. This autumn, bring close friends or family to join in gourmet pleasures. 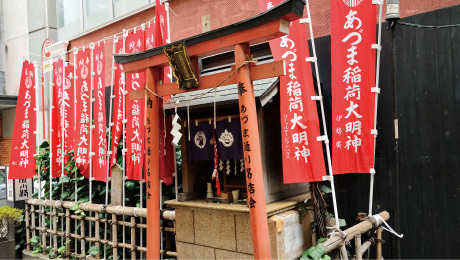 Go on a pilgrimage to ten of the eleven existing shrines in Ginza that will all be open to the public from Tuesday, November 1 to Thursday, November 3 (Hol.). 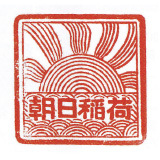 A small commemorative gift is available for persons who collect all the ten shrine stamps on their stamp book. *Stamp books are available at each shrine and at the commemorative gift exchange booth. Sunday, October 30, 2016; from 1 to 4 p.m.
Student tea room designs are collected for the 130th Anniversary Architectural Culture Week Student Grand Prix 2016 Ginchakai Tea Rooms hosted by the Architectural Institute of Japan and the best submissions are displayed each year at Ginchakai. 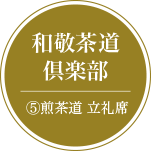 The submission awarded the gold prize will be constructed in full scale for the exhibit at Ginza Terrace on the 9th floor of Ginza Mitsukoshi Department Store again this year, and will be used as actual tea rooms. Enjoy a highly original tea room space uniquely created by a student. Ticket distribution: From 12:30 and 1:30 p.m. Ticket distribution: From 12:00 p.m.
*Tea ceremony tickets will be distributed at the Ginza Mitsukoshi 9F Terrace. Originally-designed winning commemorative teacup created by Dinaone that is a supporter. 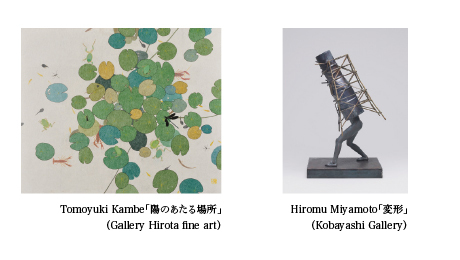 The Tokyo University of the Arts (TUA) that participated in Ginchakai for the first time last year will hold an exhibit this year as well in Ginza Itoya. The HandShake Lounge that is the venue for the exhibit will be smartly decorated by the TUA Department of Design and display design pieces by faculty and graduate students from the Department of Crafts. Tea ceremony will also be performed at a tearoom set up at the Tokyo University of the Arts in Ginchakai space that is one of the Ginchakai venues. Of course, you can use the tea ceremony implements made by TUA at this tea ceremony event. Enjoy a creative space and creative tea ceremony implements this year as well. When: 10:00 a.m. to 8:00 p.m.
*Until 7:00 p.m. on Sundays and holidays and 4:00 p.m. on the final day. From 1:00, 1:30, 2:00, 2:30, 3:00, and 3:30 p.m.
Tickets will be distributed from noon at the Ginza Itoya 1F front entrance. When: Scheduled for 11:00 a.m. to 3:00 p.m. on Saturday, October 29. *For details, see the notice at the venue on the day of the event. 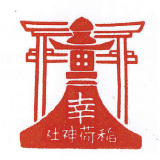 The foundation for this school was established by Sosa Koshin, the third son of Sotan, grandson of Sen Rikyu. Sosa learned the ways of Rikyu passed down the Senke line from his father, Sotan, and described them in a written record. He did so in an attempt to preserve the gradually receding image of the founder of their school to the greatest extent possible for the Sen family. Sosa then entered the service of the Kishu Tokugawa family as its professional tea master. Shortly after starting, Sotan retired in 1646, transferring the headship to Sosa. 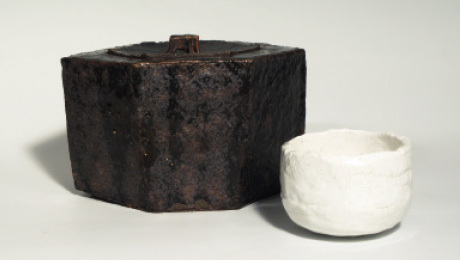 In the more than 400 years since, the school of Omotesenke has continued passing on this “heart of tea.” Instead of simply succeeding a fixed model, it is inherited as living culture infused with the new life of the times through which it passes. “Natural like the flow of water” is a distinctive characteristic of the Omotesenke Way of Tea. 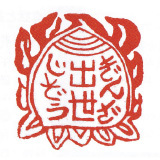 When Sotan, grandson of Sen Rikyu, handed over the headship of the Sen family to his third son, Sosa Koshin, he moved to a tea-ceremony house at the back of the premise with his fourth son, Soshitsu Senso. That was the start of Urasenke, and his successors served the Maeda family of the Kaga Province and the Matsudaira family of Matsuyama in Shikoku. Based on the spirit of the Four Principles of Tea (harmony, respect, purity and tranquility) maintained since Sen Rikyu’s time, Urasenke carefully nurtures the relationships between people. For the Kyoto Exposition (1871), Seishu Gengensai, the 11th head of Urasenke created the “ryureishiki” style of tea ceremony that allowed foreigners and others not used to kneeling in the seiza position to sit on chairs accompanied by a special table. He thus strove to popularize and further develop tea ceremony culture in line with the times, while carefully preserving its traditions. The 16th head, Zabosai, is actively spreading the “heart of tea” widely to schools and workplaces and carrying out activities to nurture new tea ceremony students and clearly define tea ceremony culture. 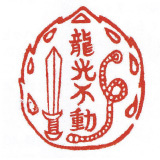 This school was established by Ichio Soshu, the second son of Sotan, Rikyu’s grandson. 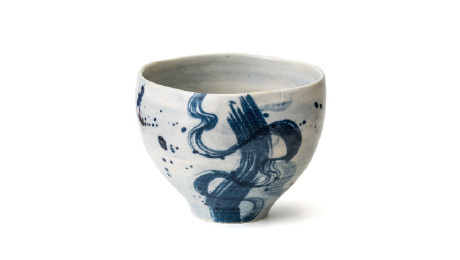 Soshu temporarily left his father’s home to work as a lacquer-ware artisan, taking on the name Jinuemon Yoshioka. Upon the advice of his brothers, he conceded his work to Nakamura Sotetsu and returned to the Senke family. Soshu served the Takamatsu Matsudaira family and became the tea ceremony instructor of the Takamatsu Domain. Later, the Mushanokoji family worked actively to spread the Way of Tea. 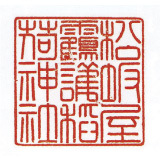 For example, Jikisai, the 7th generation head was an adoptive son from a samurai family but, along with Joshinsai, the 7th head of the Omotesenke school, and Itto Soshitsu, the 8th head of the Urasenke school, who were his contemporaries, he developed the Iemoto System whereby he took in many students and created a period known as the resurgence. 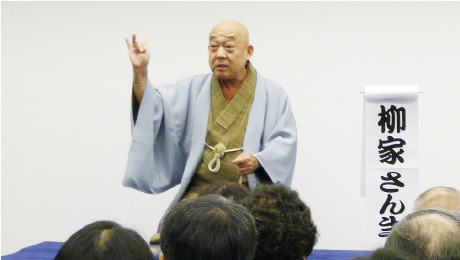 The school’s traditions have been passed down the line to Futetsusai, the current and 14th head of the school. Kawakami Fuhaku (1716–1807), founder of Edosenke, was a leading disciple of the 7th generation head of the Omotesenke school. In 1750, at the young age of 32, he was instructed by his teacher Joshinsai to move to Edo to spread the Senke Way of Tea. After moving to Edo and becoming independent, Fuhaku spread the practice of tea ceremony to high-ranking officials of the bakufu, feudal lords, merchants, persons of culture, and even workers in the downtown area. People were moved by his dynamism and freedom, and tea ceremony spread on a nationwide scale. 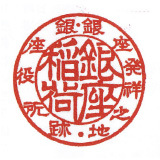 It is now separated into a number of schools, but each school strives to preserve the teachings of the founder. 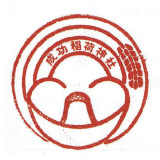 The Edosenke Kibe school was founded by Fuhaku’s leading pupil, Kibe Senzan, and has been supported by many tea ceremony masters over the generations. Enshu-ryu Chado is a samurai style of tea ceremony that was founded by Kobori Enshu, a feudal lord that was active in the early Edo period. Enshu was the official tea ceremony instructor of the Tokugawa Shogun family. As the “sakuji bugyo” (commissioner of buildings), he left behind a great legacy of buildings and landscape gardens, including the Nagoya castle tower and Sento Imperial Palace. He was also proficient in tanka poetry, traditional incense-smelling ceremony, and construction of ceramic tea bowls, and contributed to the development of tea ceremony culture in Edo as composite art. The essence of Enshu-ryu Chado lies in “Kirei Sabi,” or gracefulness and simplicity, in which a quality of dignity was added to the spirit of wabi, the beauty to be found in spareness and simplicity, and sabi, the quality of subdued refinement, to create objective aesthetics with sophistication. 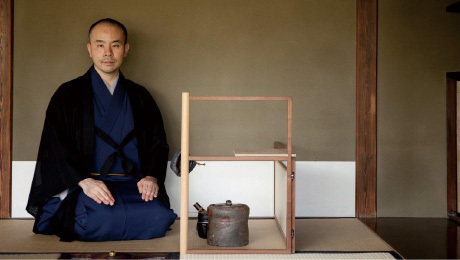 Some 430 years later, the Enshu Chado school is now led by Kobori Sojitsu, the 13th grand master, who works widely throughout Japan and the rest of the world with the motto, “Enrich your mind with tea ceremony. 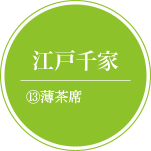 Sencha was brought over from China in the Edo period. In the 18th century, Baisao, an Obaku Zen Buddhist priest said to be the founder of Sencha-do, opened teahouses around Kyoto and preached about the ideal way of life and other teachings through tea. A unique Japanese version of Sencha-do was later established by writers and artists. 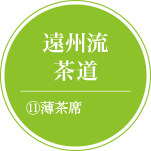 Sencha-do does not have strict rules. The host and guest share time together over tea, enjoying first-brewed tea. The Wakei Chado Club carries out activities as an NPO aimed at pursuing the joy of tea and spreading the excellence of tea culture that is a pride of Japan, exceeding boundaries of type of tea (sencha or matcha) and school of tea ceremony. The style of tea ceremony varies by location. Check the station number for each tea ceremony school and the map. *Station numbers noted above are for sunny weather venues. Take the paper holding the sweet into your hand, then cut the sweet into bit-sized pieces and eat it. When passed the tea, take the bowl firmly with both hands. The tea bowl will be presented with the front facing you. Rotate the bowl to turn the front away from you before drinking. In Chado, great value is placed on humility, and the tea bowl is rotated to face the front away so that the design on the bowl is not dirtied. The method of rotating and number of rotations varies with the school. Place the saucer holding the teacup in your left palm, then pick up the teacup with your right hand and take a sip. Enjoy the aroma and sweetness of the tea. When you have finished, set the cup and saucer aside and eat the sweet. When the second cup has been poured, taste the difference from the first-brewed tea. When you have finished, place the teacup on the saucer and put it back on the serving tray. 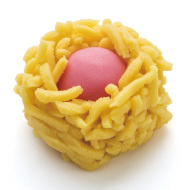 Famous shops that represent Ginza have prepared original sweets for Ginchakai. 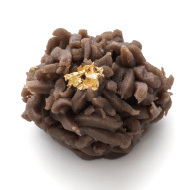 A pitch black night sky depicted as a gyuhi mochi cake made with dark brown sugar from Amami Oshima shows the glimmer of thousands of brilliant stars in a generous sprinkling of Jonanko rice flour. The light of pearls that seem to shimmer from within is expressed in white bean jam and butter cream, wrapped around a mildly bitter caramel and apple cake. This sweet depicts a brilliantly glittering rainbow in the sky after a rainfall. 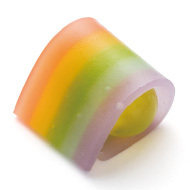 Yuzu bean jam and yuzu agar jelly are gently enveloped in a yokan jelly dyed in a five color rainbow. 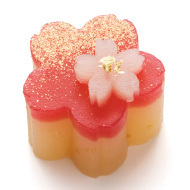 Light illuminating Japan is depicted in a yuzu yokan jelly with a motif of cherry blossoms that are Japan’s most distinguishing flower. The colors of the mountains changing to their autumn appearance by the shining sun and moon are depicted in a rainbow shape. This sweet depicts the glimmer of sunlight in the gentle autumn breeze and waves of light from ice crystals and water droplets. 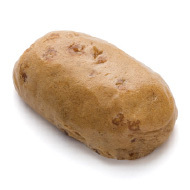 Dark brown sugar and potato kinton depicting the sunlight appearing in the sky just before dawn. The sunlight sparkles on red nerikiri dough and yellow kinton. 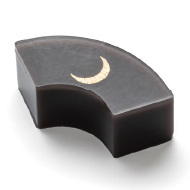 Accompanied by the light of the moon suspended in the night sky, the shape of the fan symbol is etched into a special yokan jelly made to highlight an elegant sweetness with a hint of soy sauce. 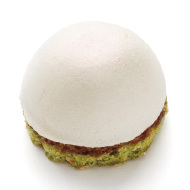 This exquisite sweet is wrapped in serenity. 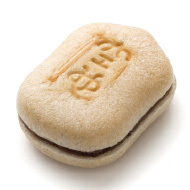 Smooth adzuki bean paste is enclosed in a nerikiri bean jam into which Chinese yam has been kneaded. The image of vibrant Ginza is depicted as a white chrysanthemum and imbued with the wish that it would continue shining forever. 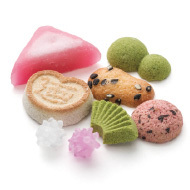 Local sweets are shrunk into a miniature size arrangement. 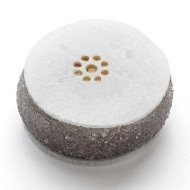 Leading well-known sweet that has enjoyed popularity for more than 70 years. A well-loved classic. 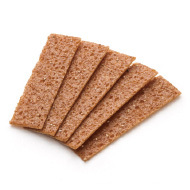 The simpleness of only azuki bean and sugar sandwiched in crispy wafers gives this sweet its charm. *For purchase of Kuya, please make a request to the shop in advance if possible. 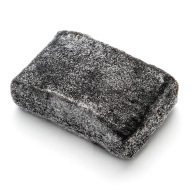 Hand-picked tea leaves are carefully ground into a weak powdered tea that harmonizes bitterness and sweetness. Made with Yutaka Midori, a rare type of tea from Kagoshima. It features a rich flavor and vivid green color. Brewing it at 70 to 80°C brings out its savory and delicious flavor. *The type of sweet provided with tea varies by location. For details, see the station number noted for the sweet and the map. ※You can purchase sweets with amark at the shop. 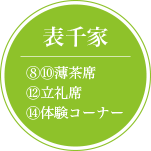 ※With some exceptions, quantity and availability period are limited. Contact the stores for details. Ginchakai supports the recovery of areas affected by the Great East Japan Earthquake and Kumamoto earthquakes! Yappa Ginza da Be was launched to support mutual exchange between manufacturers and stores of areas hit by the Great East Japan Earthquake and brands and well-established stores in Ginza through local specialty goods, craftsmanship, and expertise. This is a project that creates opportunities for developing new products, services and menus through mutual learning. 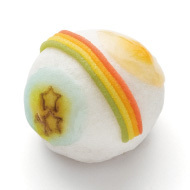 Ginchakai collaborates with the “Yappa Ginza da Be” East Japan Reconstruction Support Project to deliver sweets from the Tohoku region. This year there will also be sweets from Kumamoto in order to support recovery from the Kumamoto earthquakes. Enjoy the delicious regional flavors. 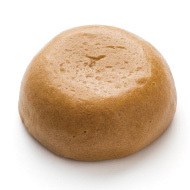 Tea manju made with Oshima brown cane sugar that has been the shop’s flagship product since its founding in 1947. “Kaki and Hisago” (persimmon and gourd) is a feature of autumn. 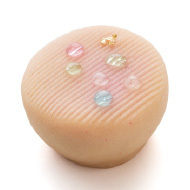 This dried Wasanbon sugar sweet melts in your mouth. 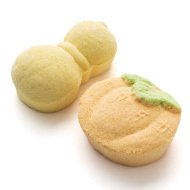 This manju has a sweet and salty miso flavor, and is filled with quality white bean paste that has a smooth pleasant texture. Savor the unique rich taste of black sesame and mildly sweet and elegant flavor. The unique deep flavor and noble appearance of adzuki beans that have been treasured by Japanese people for many years adds elegance to tea ceremony. 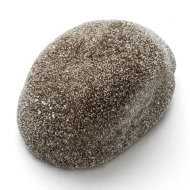 Maruho’s Matsukaze is called Japan’s thinnest sweet. The elegant sweetness and unique aromatic flavor make excellent sweets for tea ceremony as well as gifts. 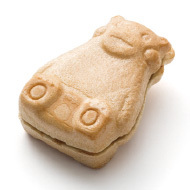 Monaka wafers shaped like the Kumamon mascot and baked from Kumamoto glutinous rice flour are packed with coarse red bean paste from Hokkaido. Many rice storehouses remain in Kawajiri, a town in the south of Kumamoto city where water transport has thrived since Edo times. 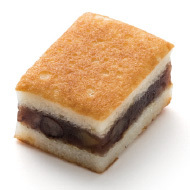 A karukan rice flour cake is created into a wall that sandwiches Higo adzuki beans, chestnuts, and yuzu in the image of a rice storehouse. 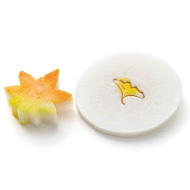 A kangori sweet shaped like an autumn leaf is crispy on the outside and moist inside. Thin rice crackers sandwich Saikyo miso bean paste and are etched with a leaf from a Kumamoto gingko tree. *For locations providing sweets from the Tohoku and Kumamoto regions, see the station number noted for the sweet and the map. Itoen tea masters with great tea knowledge and experience will give visitors delicious tea brewed in a teapot. How to participate: First come, first served. While supplies last. There are different key points for making delicious, fragrant tea for each type of type. The tea you usually drink without a second thought becomes even tastier depending on how it is served. When: 1st time from 1:20 to 1:40 p.m., 2nd time from 2:00 to 2:20 p.m., 3rd time from 2:40 to 3:00 p.m.
How to participate: First come, first served About 20 people per class. ※May be canceled in the event of a storm. 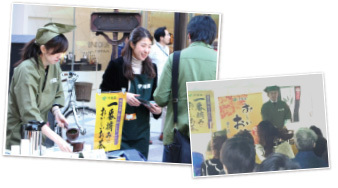 In Ginza, various events with the Japanese culture of “wa” as their theme will be held in connection with Ginchakai. A tea chest made of old wood from the Kinkakuji and Ginkakuji temples that are two of Japan’s most famous traditional structures is arranged with implements for enjoying tea time with a theme of “My relaxation time box” by well-known figures from various fields. Saturday, October 29, from 1:00 p.m. and 3:00 p.m.
Young Karatsu-yaki ceramics artists present their versions of the world of tea. 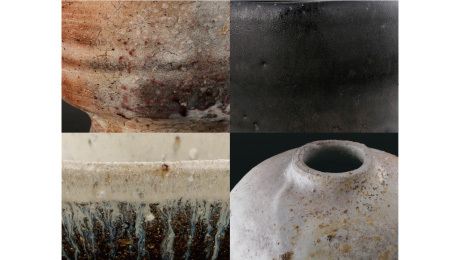 See the diverse appeal of Karatsu with these teacups and implements made by Raizan Yasunaga, Rui Mitou, Naoto Yano, and Kentaro Murayama. See Sen’s originally designed table on display and hear loads of talk about the appeal of tea ceremony. The tea table will be on display from Monday, October 24 to Sunday, October 30. See the website for details and information on how to register to participate. Mino ceramics artist. See newly created tea utensils that are a slight departure from traditional tea implements and let you enjoy a lively familiarity. 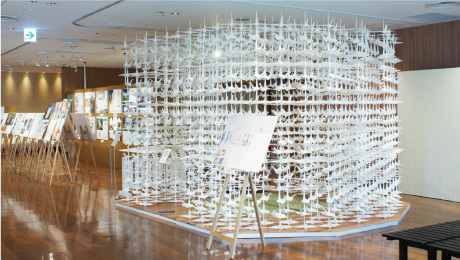 This exhibit will present photographs, information panels, and lectures to describe the reconstruction efforts of Rikuzentakata City in Iwate Prefecture, one of the affected areas of the Great East Japan Earthquake. Local sweets and specialties will be sold as well. Based on a theme of “Energizing Ginza and the rest of Japan with fashion,” Ginza Mitsukoshi, Matsuya Ginza, Wako, and Tokyu Plaza Ginza will participate in Ginza Fashion Week (October 19 to November 1). In connection with Ginchakai, visitors in a kimono will receive various perks and special services. Fruit yokan jelly handmade by a Café Comme Ça patissier with seasonal fruit is available for a limited time and quantity. 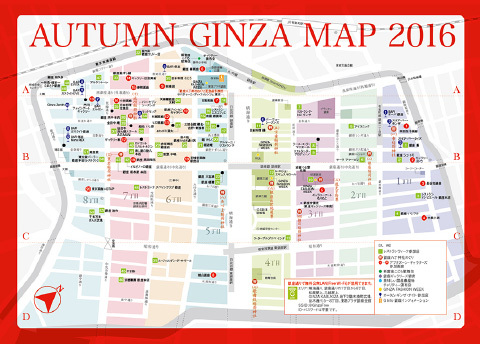 Information of other events held during Autumn Ginza 2016. In the Edo Period, there were a number of small theaters showing plays (kabuki) in and around Ginza, and kabuki was cherished as the culture of ordinary people’s lives. This culture has been inherited by the Kabuki-za Theater, the Shimbashi Enbujo Theater and other theaters where it can be enjoyed by many people. 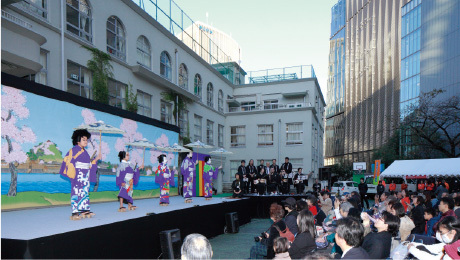 Students of Taimei elementary school will peforme Shintomi-za Kodomo (children’s) Kabuki with the hope that this culture will thrive even more in Ginza and that it can be enjoyed by anyone. 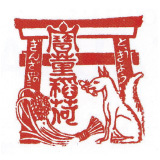 The performances will be “Yoshitsune Senbon Zakura (Yoshitsune and the Thousand Cherry Trees)” and “”. Enjoy the charming performance of young actors. Length of each performance: About 60 min. *Moved to the gymnasium in the event of rain. Note: Please inform us if you are coming in a wheelchair so that we can better accommodate you. Please note that the number of seats will be limited. Only standing room may be available. Your understanding is appreciated. What is Shintomi-za Children’s Kabuki? Shintomi-za Children’s Kabuki was founded under cooperation of Chuo City neighborhood associations and elementary schools as a project for giving children an opportunity to experience kabuki. Ginza, that remains home to the Kabuki-za Theater and maintains the colorful remnants of Edo culture, is infused with hopes of deepening interest in the traditional Japanese arts and developing kabuki as a local culture. 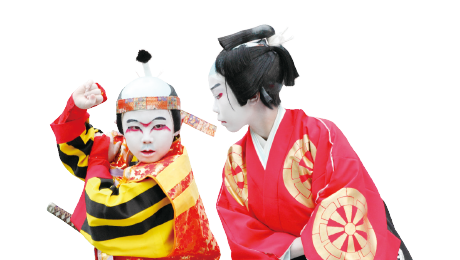 Shintomi-za Children’s Kabuki pursues activities to invoke excitement in both young and old with the recognition that kabuki is fun, amazing and deeply insightful. One act of a play called “Yoshitsune Senbon Zakura” (Yoshitsune and the Thousand Cherry Trees) in the form of a dance. Yoshitsune, who has fallen out with his brother, Yoritomo, leaves the imperial capital, leaving behind his beloved mistress, Shizuka Gozen, saying she is in danger if she stays with him. He leaves Shizuka a drum, called the “Hatsune drum,” saying to take care of it as if it were him, and entrusts his retainer, Tadanobu, as her bodyguard. 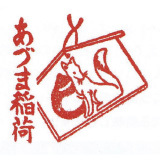 Shizuka cannot bear to be apart from Yoshitsune, and follows him, together with Tadanobu, deep into Mount Yoshino. The mountain is in full bloom as the two approach. 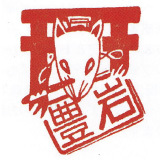 During the trip, it is revealed that Tadanobu is actually a fox spirit that disguised itself as Tadanobu in yearning for its parents, whose skins were used in the Hatsune drum Shizuka carries. Enjoy the dance as it enfolds in front of “Hitome Senbon,” (a place where many cherry blossom trees can be viewed at a glance), a scene of gorgeous cherry blossom trees that have been loved by people since long ago. After the theft at the Hamamatsu-ya shop, the band of thieves led by Nippon Daemon comes under investigation of the police. The five thieves flee their pursuers and go to the banks of River Inase that are covered with cherry blossoms with the thought of temporarily escaping to Kamakura. The five dapper men in short-sleeved kimonos carrying coarse oilpaper umbrellas make their final move as they realize they can flee no further, and steel themselves against their fate of falling under the net. As they are surrounded by their pursuers that were lying in ambush, they gracefully hurl defiance with the words “let me be judged” and each reveals their identity before facing their potential captors. This popular scene that should not be missed is one of the most renowned of Kabuki scenes, acted by the anti-heroes created by Mokuami Kawatake. 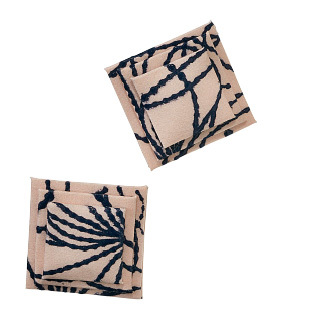 Work Assistance: Kanai Scene Shop Co., Pacific Art Center Inc.
*Inquiries by phone are not accepted. 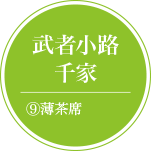 Sixteen galleries from Ginza 1- to 8-chome participate in this event that is aimed at turning galleries into a platform for communication. With gallery tours, a rakugo performance and more, this event will bring you closer to a broad range of art. 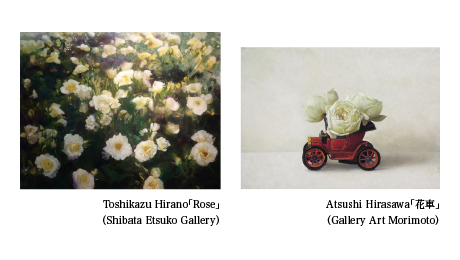 *For the details of participating galleries, visit the website of each gallery. Gallery tours led by a guide will be held for those who have never been to a gallery or who do not know where they are located. Each course lets you view art from a variety of genres. When: Saturday, October 29; from 1:30 p.m. and 3:30 p.m.
*See the map for the gallery locations. How to register: Use the request form on the website. *Notification will be posted online once all places are filled. This year, Yanagiya Live Rakugo Club will introduce the newly composed “Pachipachi” based on a long-standing shop in Ginza. Enjoy a live rakugo performance. 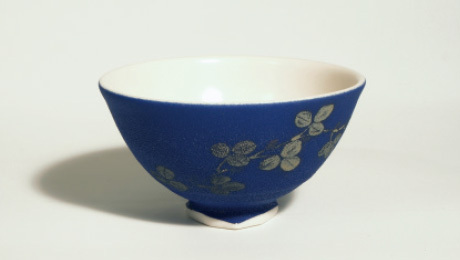 When: Saturday, October 29; from 12:00 to 12:50 p.m.
and the subject heading, “Ginza Galleries Yose. ※Those chosen will be sent a participation ticket by e-mail. Buy delicious fruit and vegetables in this annual charity event. 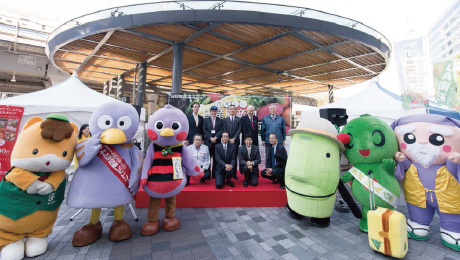 This year, there will be a huge selection of agricultural products around Japan in Sukiyabashi Park next to Tokyu Plaza Ginza! High quality fresh fruit and vegetables, carefully selected new rice, and more will be offered for sale with proceeds going to charity. Don’t miss this special opportunity to get fresh produce. *Sales will stop once about 2,000 people (tentative) is reached. The charity proceeds will be donated to the Chuo City Social Welfare Association. This is the 11th year of Ginza Fashion Week, an event that is aimed at rejuvenating Ginza and the rest of Japan with fashion. Tokyu Plaza Ginza has joined the event from this year where four leading shopping complexes in Ginza will hold joint programs and events based on a theme of “Japan.” Do not miss the special collaborative programs in connection with Autumn Ginza 2016 that were a big hit last year. *For details about these events, please check the official websites of the above stores. 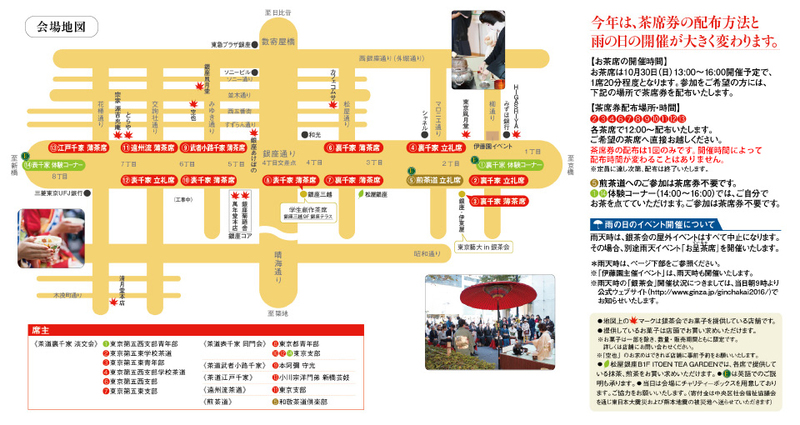 The following are the respective themes for Ginza Mitsukoshi, Matsuya Ginza, Wako, and Tokyu Plaza Ginza. Ginza Mitsukoshi will give a closeup of regions of Japan that coexist with the bountiful ocean. See knowledge and ingenuity from the sea and how to enjoy life near the ocean. From other areas as well, Ginza Mitsukoshi delivers a wide variety of forms of Japanese craftsmanship as new value to Japan and the rest of the world. Matsuya Ginza will present items packed with the techniques and special details of internationally-renowned Japanese brands and designers. This display includes a diverse variety of products including not only fashion, but everything from foods to household goods that show the excellence and craftsmanship of Japan. This autumn, based on a theme of “interweaving,” Wako will present products made by traditional craftspersons with traditional materials that weave together the new sensibilities of Japanese designers. 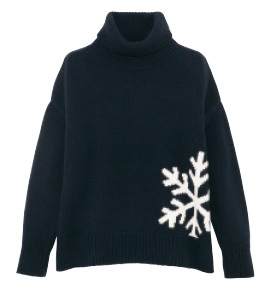 In addition, Wako also presents its unique collection of autumn apparel and lifestyle goods. The concept for Tokyu Plaza Ginza that opened in spring 2016 is Creative Japan: The world becomes exciting from here. Starting with the exterior Edo kiriko cut glass design, it gives experiences and feelings that mix tradition with innovation through 125 fashion and variety shops, restaurants, and cafés. These four shopping complexes collaborate with Hearst Fujingaho to present the appeal of Ginza Fashion Week and hold excellent events that add vibrancy to Ginza in autumn. The stores await your visit! This charity campaign is held under collaboration between Ginza Fashion Week and Hearst Fujingaho that publishes numerous magazines including Elle Japon, 25 ans, Fujingaho, and Harper’s BAZAAR. 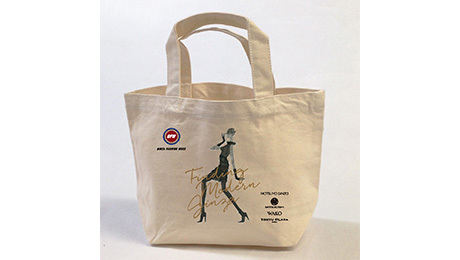 Selling a limited quantity of small tote bags originally-designed for charity! Price: 600 yen each (tax incl.) *2,000 bags in total for all four stores (while supplies last). *All proceeds go to the Foundation for Promoting Sound Growth of Children that supports children affected by the Great East Japan Earthquake. 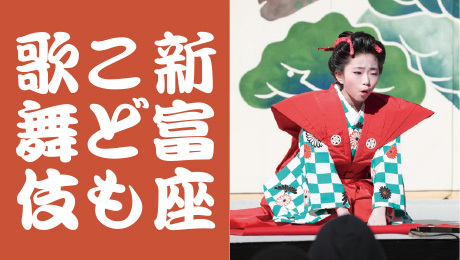 In continuation from last year, each store will have a special offer connected to the Ginchakai and Shintomiza Children’s Kabuki events of Autumn Ginza 2016. There is also a program specially for children to enjoy. 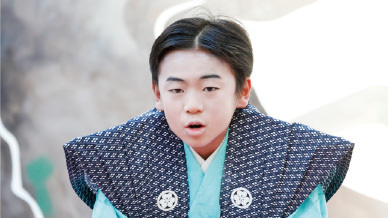 *For details about Ginchakai and Shintomiza Children’s Kabuki, check the sections for those events. *Please note that special services are limited to one time per guest and that the number of items is limited. 10:30 a.m. to 7:00 p.m. On Thursday, November 3 (national holiday), elementary school children who performed in or viewed the Shintomiza Children’s Kabuki will have a chance to try simple assembly of a wristwatch and take it home with them. Saturday, October 1, from 10:30 a.m.
Tokyu Plaza GINZA On Sunday, October 30, the first 50 customers visiting in a kimono will receive a free roasted green tea-flavored soft-serve ice cream (mini-sized). Exchange booth: Sakurano Chaya in the Kiriko Terrace on the rooftop On Thursday, November 3 (national holiday), on the day of the Shintomiza Children’s Kabuki, the first 30 customers with a program handed out at the venue will receive a free soft-serve ice cream (mini-sized). From Saturday, October 29 to Thursday, November 3 (national holiday), a soft drink will be offered to guests in a kimono who dined at restaurants on 11F and 12F. On Thursday, November 3 (national holiday), the first 100 customers who have their photos taken at the Shintomiza Children’s Kabuki photo spot set up in Sukiyabashi Park will receive a coupon for a free Minori Minoru Marche x Hokuren Grand Harvest Festival mini soft-serve ice cream. From Saturday, October 29 to Thursday, November 3 (national holiday), the first 10 customers each day visiting in a kimono will receive one free small Torindo taiyaki (fish-shaped bean jam filled pancake). On Sunday, October 30, the first 50 customers visiting in a kimono will receive a free kuri-dorayaki (bean jam and chestnut filled pancake sandwich). On Thursday, November 3 (national holiday), elementary school children who performed in or viewed the Shintomiza Children’s Kabuki will have a chance to try simple assembly of a wristwatch and take it home with them. On Thursday, November 3 (national holiday), on the day of the Shintomiza Children’s Kabuki, the first 30 customers with a program handed out at the venue will receive a free soft-serve ice cream (mini-sized). Below, find information about events and the wide variety of items such as apparel, food, household goods, and more offered by each store this fall. Items: Wednesday, October 19, 2016 to Tuesday November 1, the entire department store will participate in the Japan Senses event introducing excellent Japanese craftsmanship. Including the Johaq coat in the photo, Ginza Mitsukoshi has prepared fun programs and many limited time only items packed with appeal with internationally-renowned techniques and the sensibilities of spirited Japanese designers. 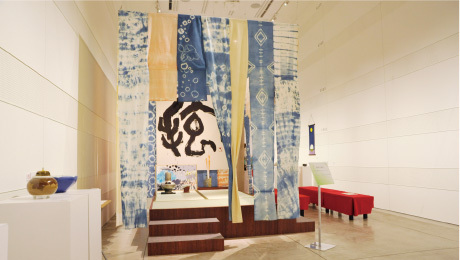 On the 7th floor (event venue), Ginza Mitsukoshi will display ceramics, glassware, woodwork, textiles, and other handwork for daily use created based on the climate of the place of origin in Japan and other places around the world, with a global perspective. There will also be pieces by craftspersons who refined folk crafts to the level of art. 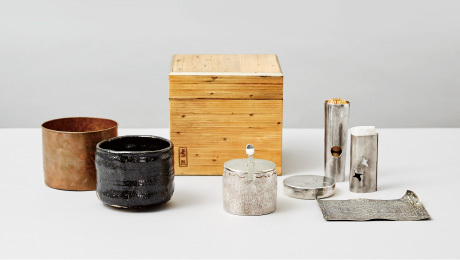 Items: Based on Japanese craftsmanship and inspired by the glamping trend, Matsuya Ginza will present everything from fashion to foods and household goods that create a relaxed way of life with hints of nature while remaining urban. There will be a collection of items offering style, luxury, and comfort. A special three-day only party will be held for customers making a purchase. Enjoy special hospitality that includes a free drink and a free gift. 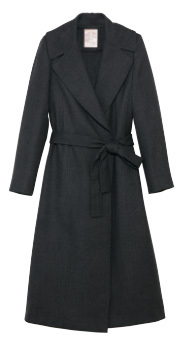 Items: Wako will present dresses, coats, and other limited edition Wako-only items by Japanese brands such as Yasutoshi Ezumi, Support Surface, Intoca, and Objetstandard. 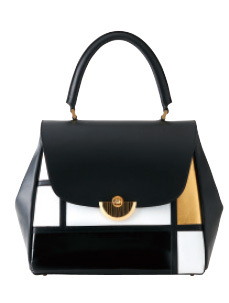 There will by all types of apparel and lifestyle ideas for autumn, starting with handbags and accessories infused with the new combination of leather and 24-karat gold foil. Items: Tokyu Plaza Ginza will offer a diverse collection of sophisticated fashion items that are both elegant and trendy, with shops and products that focus on only the best, themed on Japanese connoisseur abilities, delicacy, and craftsmanship. There will also be fashion and culture events that let you experience the mix of tradition and innovation. Events: ❶Tamae Hirokawa “Somarta Kimono Couture” Exhibit: Live Photo Shoot Event (Wednesday, October 19); Pop-up Store (Thursday, October 20 to Sunday, October 23); See the expression of a new era of Japanese wear achieved through the fusion of digital technology and the traditional techniques of craftspersons. ❷ Kiriko Lounge “Culture Salon”: Kyohei Sorita Piano Concert with Kohei Ueno (Friday, October 28); Tea ceremony event, Talk Show with Sooku Sen (Sunday, October 30) *Sen’s tea ceremony table will be on display from Monday, October 24 to Sunday, October 30. *See the official website for times, locations, and how to register for each event. *Days open during the event period vary by shop. 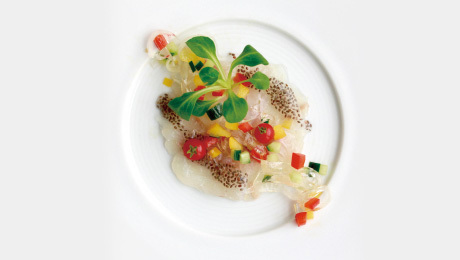 Each dinner course order also includes a complementary pre-meal aperitif. *Note that tax is not included in the above price. *Restaurants not open for lunch will not offer the Special Lunch Course. *A restaurant may be unable to accept a reservation due to a limit on the number of available Special Lunch or Dinner Courses that can be served. 1. 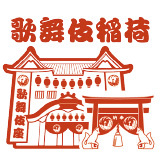 Select a restaurant from the Diner’s Club website. *Note that Special Courses will only be served with prior notice when the reservation is made. *Diners Club members are asked to pay with their Diners Club card. Important: Please read before use. *Other discounts, benefits, services or campaigns cannot be used concurrently. *Please note that the restaurants will charge a fee for reservation changes/cancellations. Fees vary by restaurant. Why not visit some bars in the elegant town of Ginza this autumn. You will be greeted by the first-class bartenders with exceptional cocktails and services. Wednesday, October 19 to Thursday, November 3 (Hol. ), 2016 *Each store has its own fixed holidays. The following five cocktails will be available at participating cocktail lounges for 1,500 yen (tax not included) during the event period. To take advantage of this service, mention that you read the Autumn Ginza Guidebook. 6:00 p.m. ‒ 12:00 a.m.
that will all be open to the public from Tuesday, November 1 to Thursday, November 3 (Hol.). There are only 2,000 commemorative gifts and exchange is only available while supplies last.